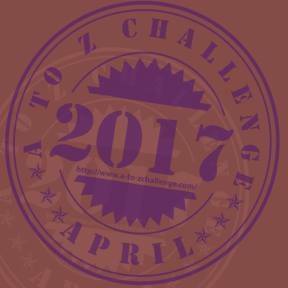 Lloyd of Gamebooks: April A to Z - Y is for whY not try Advanced Fighting Fantasy 2nd edition? 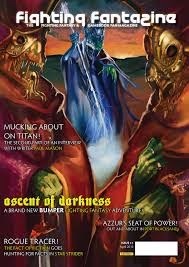 April A to Z - Y is for whY not try Advanced Fighting Fantasy 2nd edition? Hello gamebookers. 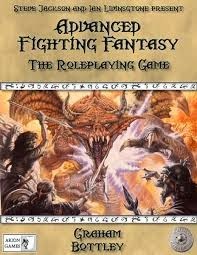 Gamebooks translate over to into RPGs today with Advanced Fighting Fantasy 2nd edition where Graham Bottley of Arion Games cured all the problems of 1st edition and managed to add lots more to the system. Graham has been kind enough to drop in in 2013 , so today he visits us again to upadate us about his year. How has Advanced Fighting Fantasy progressed since April 2013? 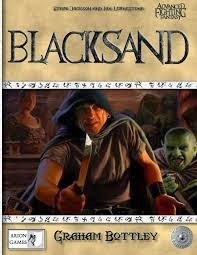 We have now released Blacksand, the Sorcery Spell Book and the very recent Beyond the Pit. The forums are busier all the time, and i hear more and more that the game is being played and is popular. You can't ask for more than that! You have been very successful when using crowdfunding. What tips do you have for people who are planning on using crowdfunding? Be honest, and communicate well. The more successful the campaign, the more delays there are likely to be through stretch goals and so on. But if you keep the backers informed, these delays are less of a problem. One issue i have run into is P&P. If you add a load of stretch goals, the postage costs will go up, quite possibly a lot. But there is no mechanism to add postage with stretch goals! What advice do you offer to anyone creating content for AFF2, or writing gamebooks? Play through whatever you create, get friends to play through it, and even recruit playtesters. When you create something, your brain fills in gaps and smooths over bumps which are obvious to others. On top of which, when the playtesters come back to you and say how great it is, it gives you a huge boost! It is probably heresy to say so, but some of the FF gamebooks (especially those written by Ian!) have either sudden death traps or combats that are almost impossible. It can be very frustrating to spend an hour negotiating a gamebook only to open the wrong door and die without recourse to SKILL or LUCK. 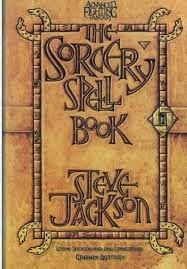 It is a very intangible feel that makes a gamebook. It is not the setting, genre, extra rules, artwork or writing style. It is the...feel. So Forest of Doom stands out because it has that archetypal "Evil Forest (tm)" feel to it. You have lonely cottages with bodybuilders in. Caves. Goblins and Centaurs. Likewise the Shamutanti hills. It feels local and epic at the same time. What is your wish for AFF2? It would be nice for it to be better known, especially outside the UK, France, NZ and Australia. You will still see it mentioned on forums or in blogs followed by exclamations of surprise that there is a new version or even ignorance as to its very existence. It is a difficult thing in this era of many games large and small, but i think it is such a playable game that greater recognition would be great. How can people contribute to Advanced Fighting Fantasy or Arion Game's other works? Send me an email. 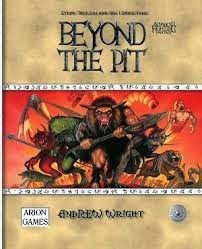 Beyond the Pit arose from a suggestion by the author, as will the Warlock of Firetop Mountain adventure. If a fan has a great ides for either a published book or free download, i am more than happy to discuss. We have the Warlock... adaptation and Salamonis sourcebook planned for this year, and are hoping to get at least one or two more books out by the end of the year. We are mostly done with rules, and so can concentrate on expanding the setting information and both new and classic adventures. The plan is not to create supplements that MUST be bought, rather create ones that people want to buy because they are great. My first suggestion would of course be my own Webstore (store.arion-games.com). I get a slightly higher return and it feels more personal sending the books direct to customers. Most of the books are available from local games stores, direct from C7, from Amazon and from various other places. These are all good of course, although new books are generally only available direct from me for a month or two until they get into distribution. Of course, if you are in the UK you can also come and see us at one of the conventions we attend around the country! I would love to somehow make the AFF2 more popular in my country (Australia). Don't know what I could possibly offer though, I guess I can dream. Anyhow, really agree with the 'feel' of a book making it "stand out". Maybe it is a combination of things, for me it's part nostalgia. I grew up playing FF!